Sie trafen sich in einem sozialen Netzwerk und gründeten eine Band. Schon ihre erste Single "Love Don´t Live Here" erreichte 2007 Platz 3 der US-amerikanischen Country-Airplay-Charts. Ab 2008 hoben Hillary Scott, Charles Kelley und Dave Haywood in den Country- und Pop-Himmel ab. Drei ihrer fünf Alben erreichten Platz 1 der US-Popcharts. Mit ihrem Zweiten, Need You Now, das sich vier Millionen Mal in den USA verkaufte, gewann die Band fünf Grammy-Awards. Die gleichnamige Single wurde in den Königskategorien Record of the Year wie auch Song of the Year ausgezeichnet, zum Besten Country-Song wurde sie sowieso gewählt. Nicht nur in den USA triumphieren sie, auch in England, Australien, Kanada und Neuseeland – Beweis für den Sound-Appeal von Lady Antebellum, deren drei Stimmen einfach füreinander bestimmt sind. Ihre musikalische Handschrift ist das Wechselspiel von Hillary Scotts umschmeichelnder weiblicher Stimme und Charles Kelleys markantem, souligen Gesang, angereichert mit fantastischen dreistimmigen Harmonien. Den "schwierigen Spagat zwischen Stadionrock und balladesker Musik" beherrschen Lady A perfekt, schrieb das Magazin Country.de. Mühelos wechselt die Band vom emotionalen Pathos zu verspielten, humorvollen Songs ("Downtown") und begleitet ihre Fans in jeder Lebenslage. Lady Antebellums moderne Spielart von Country, angereichert mit Soul und Pop, stellt sie in eine Reihe mit den Eagles und Shania Twain. In den letzten Jahren hat das Vokaltrio aus Nashville sein Pop-Appeal noch verstärkt, insbesondere mit seinen Singles "Just a Kiss" (über 43 Millionen Views bei Youtube), mit "Downtown" und dem vom R&B-Produktionsteam Stargate geschriebenen "Compass". Die Musik liegt bei ihnen in der Familie. Charles Kelley ist der Bruder des Singer-Songwriters Josh Kelley, und Hillary Scott ist die Tochter der Grammy-prämierten Countrysängerin Linda Davis ("Does He Love You", 1993) und des Countrysängers Lang Scott. Mehr als Lady A kann eine Band in den USA nicht mehr erreichen. Oft markiert dieser Zenith den Punkt, an dem alles auseinanderfällt, die Egos zu stark werden und jedes Mitglied eine Solo-Karriere anstrebt. Nicht so bei ihnen. "Wir haben genug hinter die Kulissen geschaut, um diese Gefahr zu sehen", meint Hillary Scott. "Jeder von uns weiß, was er wert ist. Aber wenn sich ein Einzelner von uns überschätzt, bricht die Balance auseinander, und das ist es einfach nicht wert." Sie haben auch Hits für andere co-geschrieben, darunter Luke Bryans Durchbruchs-Song "Do I" und die Nr-1-Single "A Little Bit Stronger" von Sara Evans. Ihre eigenen Songs komponieren sie – wie viele Bands – auf Tour und probieren sie dort direkt aus. So auch das vorletzte Album Golden (2013), auf das 2014 ihr jüngster Longplayer 747 folgte – erstmals nicht produziert von Paul Worley (Dixie Chicks, Martina McBride), sondern von Nathan Chapman (Taylor Swift), der 747 noch stadionrockiger und hymnischer als die Vorgänger machte. "Jede Band, die ich gut finde und die mehr als ein Album veröffentlichte, hat sich an irgendeinem Punkt ihrer Karriere neu erfunden", sagt Charles Kelley. "Es muss im Rahmen bleiben. Manchmal bin ich ein bisschen genervt, wenn sich jemand zu sehr neu erfindet, denn es gibt einen Grund, warum sich die Leute eingangs in seine Musik verliebt haben. Aber ich denke, man sollte die selben Sachen nicht immer wieder durchkauen." The trio's fifth proper album, 747, ditches piano-heavy ballads in favor of fully fleshed-out productions and a notable boost in confidence. Leadoff track "Long Stretch of Love," a crisp, pulsating rocker that highlights Lady Antebellum's knack for memorable song structure, exudes this newfound self-assurance. Later, co-lead singers Hillary Scott and Charles Kelley perfect their harmonizing on the fiddle-laced "Down South," an ode to the band's Nashville roots; "Lie With Me," a bittersweet tale of not wanting to let go, wouldn't sound out of place in a country version of a John Hughes movie (don't worry, that's a good thing). Producer Nathan Chapman, who took over the reins from Dixie Chicks producer Paul Worley, deserves a lot of credit for leading the aural explorations. But not everything on 747 soars. Soul-searching ballad "One Great Mystery" lands with a tepid thud ("Maybe there's some other life out there/But as long as you're here with me, baby, I don't really care"). Requisite barroom stomper "Freestyle" is filler next to the mischievous fun of lead single "Bartender," in which a heartbroken Scott declares, "What I'm really needing now/Is a double shot of Crown." The group's move away from its comfort zone is a worthy venture. Any band that clings to a formula for success -- they've won seven Grammys and sold more than 9.7 million albums, according to Nielsen SoundScan -- runs the risk of boring fans with every new release. But Lady A has always demonstrated the potential to deliver a little something more. On 747, we finally get a glimpse of it. 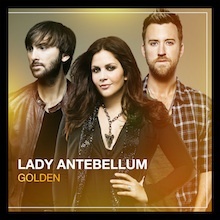 I really did not know what to expect from Lady Antebellum's fourth studio album "Golden" after they released their hit single "Downtown" as this song established a different root for the group. Hillary Scott does a great job bringing out the sassy side of her, but it's a song that one would probably find on a modern pop than a country radio station. However, Lady A does the song justice through talented vocals and various instruments. Although the group approached this album differently, "Golden" did "Get to Me." Yes, there are less duets and harmonization, but the album still has the Lady A roots that their fans fell in love with. It is a lighter-heartfelt album compared to their previous releases, but that's what they were aiming for, and they did a great job. There is not one song that I don't love. A few standout songs are "Get to Me," "Can't Stand the Rain," "All for Love," and "Generation Away." This album may not be as strong as "Need You Now," but "Need You Now" will always be their strongest work, and fans need to stop comparing every release to that one. Every good musician matures and experiments with new sounds and approaches and sometimes those new approaches can burn their careers, but I do not see that with Lady Antebellum. "Golden" is polished and well thought out. I am very impressed with this release. 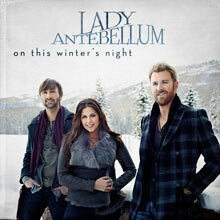 Part of Lady Antebellum's appeal is how they've mastered the quiet moments, sounding smooth even at their loudest. That aspect of their personality is absent on their 2012 holiday album On This Winter's Night, about as big and bold a Christmas album as they come. 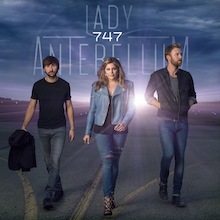 Lady Antebellum's approach is very modern, as they rely on secular standards from a variety of styles, copping Phil Spector's jingling, ornate Wall of Sound for "Christmas (Baby Please Come Home)," covering Donny Hathaway's "This Christmas," swinging with blaring horns on "Blue Christmas," even taking the time to slow down Mariah Carey's jubilant "All I Want for Christmas Is You" down to a soulful crawl. Everything, even the pretty harmonies on "The First Noel," is given a high-gloss sheen, which doesn't make this an album for quiet snowy nights. This is a Christmas album for the hustle and bustle of the holiday season, a soundtrack for days of shopping, present-wrapping, and parties filled with good cheer. 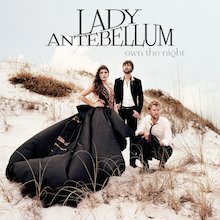 "Own the Night" is the third studio album by Lady Antebellum and picks up right where they left off with last year's "Need You Now." They have an impressive track record which includes being awarded Top New Group by the Academy of Country Music and New Artist of the Year by the Country Music Association in 2008. They were then nominated for a total of 4 Grammy Awards in 2009 and 2010, winning one of them for Best Country Performance for the song "I Run To You." In 2010 they won Top Vocal Group and Song of the Year ("Need You Now") at the ACM Awards and took home 5 Grammy Awards in 2011. The first track, "We Owned The Night" is the perfect start to the album: An upbeat tune that has lots of energy and will make you jump out of your chair and start to dance. The lyrics are nothing short of poetic and inspired by dreams of a once in a lifetime moment of passion. Singer Hillary Scott says the album was named after these sentiments. The mandolin that Dave Haywood plays adds an amazing texture that enhances the song with charisma and a hint of bluegrass influence. "Just a Kiss" was the first single and made its debut last spring on American Idol. It debuted at number 7 on Billboard's top 100, the highest debut by a country artist in over 52 years. "Dancing Away With My Heart" was co-written with Josh Kear, the same person who helped write "Need You Now." The song is everything a country tune should be: deep, meaningful lyrics, excellent musicianship, and passionate singing and playing. The song is so familiar I was humming away with it the first time I listened. Another highlight is "As You Turn Away," a song with a catchy hook and incredible vocal melodies and harmonies. If you liked Lady Antebellum's two previous albums, or if you're a fan of country music, you'll love this. Highly recommended!! Lady Antebellum prefaced the release of Need You Now by issuing its title track as a single; it reached the top spot on the country charts and stayed there for five straight weeks. It was their second number one, and they wasted no time following it with “American Honey,” which appeared a mere two months before this set was in stores. This singing/songwriting trio -- lead vocalists Charles Kelly and Hillary Scott, with multi-instrumentalist and backing vocalist Dave Haywood -- understand how Nashville works, and they know how to work it. On their sophomore effort, they stick very close to the formula of their debut: a slew of mid- and uptempo love songs, a sad ballad, and a couple of rocked-up good-time tunes, all self-written with some help from some of Nashville’s most respected writers. Kelly’s baritone is emotive, expressive, and deep in the pocket, no matter what he’s singing. He shines on the soft rocking “Love This Pain,” which could have been a single. Scott's voice is a little less distinctive, but she does possess a unique form of phrasing and reaches deeply into her protagonist’s personal situations, whether it's the celebratory good-time girl in "American Honey" or the wildly-in-love mature woman on "Hold on Tight." The group party anthem on the set -- an obligatory addition these days -- is “Stars Tonight,” which contains more than a few clichés, but has a killer guitar riff and an infectious chorus. 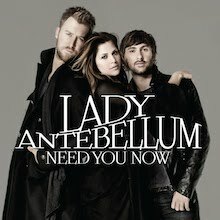 With co-production from Paul Worley, Lady Antebellum prove there is no sophomore slump on Need You Now. Here, the band's seamless, polished, and savvy brand of contemporary country is even more consistent than it was on their debut; it’s virtually flawless in its songwriting, production, and performance. 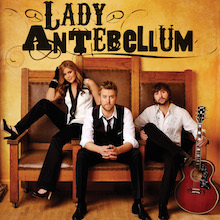 Lady Antebellum is a two-guys-and-a-girl trio comprised of co-lead singers Charlie Kelley and Hillary Scott with multi-instrumentalist Dave Haywood. The group is also a songwriting collective, a Nashville rarity, co-writing most of the songs on its self-titled debut album. The three may have come up with material as good as what a publisher could have provided, although they never stray too far from formula, as reused titles like "Love Don't Live Here," "Long Gone," "I Run to You," "Home Is Where the Heart Is," and "Can't Take My Eyes Off You," suggest. Love is true or false, depending on the song, or it's forgotten in the honky tonk haze of "Lookin' for a Good Time." Kelley has a sturdy country baritone, but he sometimes sounds a bit too pleased with his own rich tone and comes off mannered. Scott, by contrast, seems to know that her voice can't match Kelley's for distinctiveness, so she works harder at coming up with striking phrasing and emotional force. The contrast gives their duets a chemistry that is the band's strongest element. Producers Victoria Shaw and Paul Worley give the record a pop/rock sound, with plenty of guitars and rhythmic punch, the better to goose a little more feeling from the singers. At this point, Lady Antebellum is a group that seems to know the basics of contemporary country but isn't ready to move beyond them or redefine them for its own ends. Still, this is a good beginning.